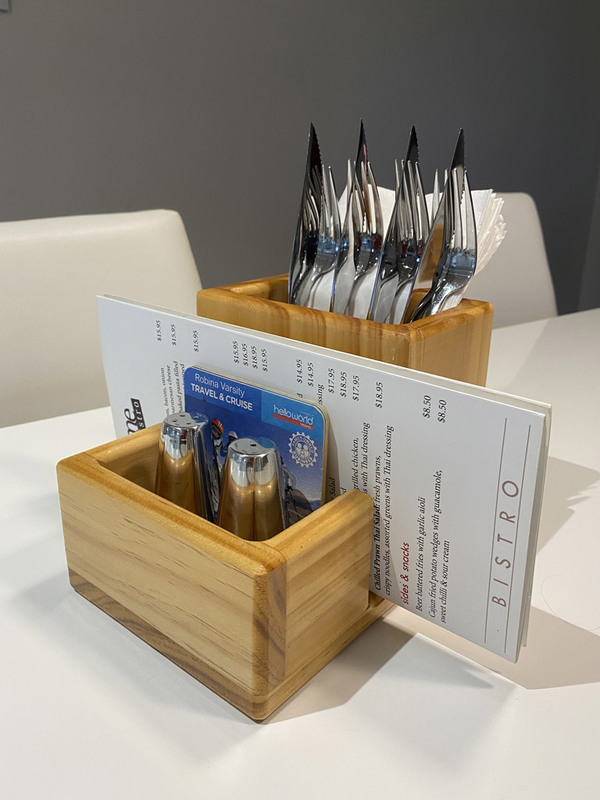 This Holder is the deluxe package, suitable for any dining area. 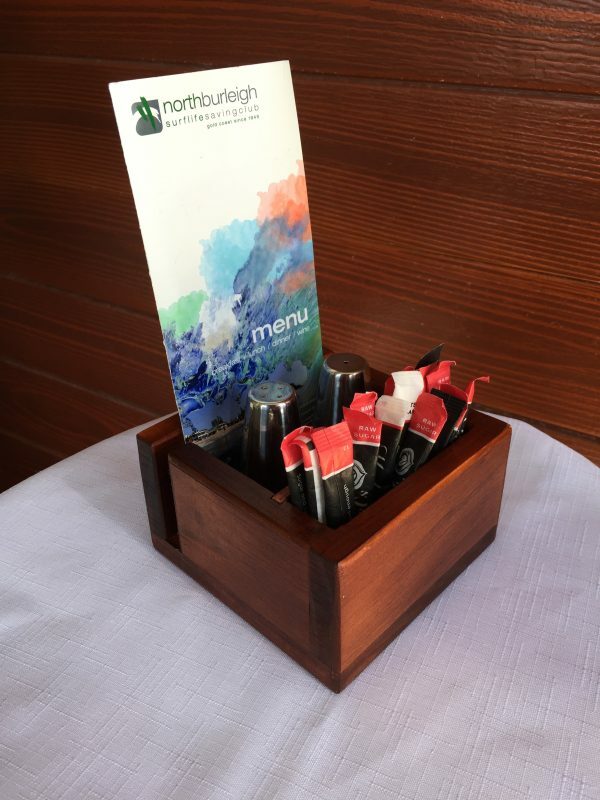 It has all the features of the Café Box plus an extra compartment for Knives, Forks and Napkins. 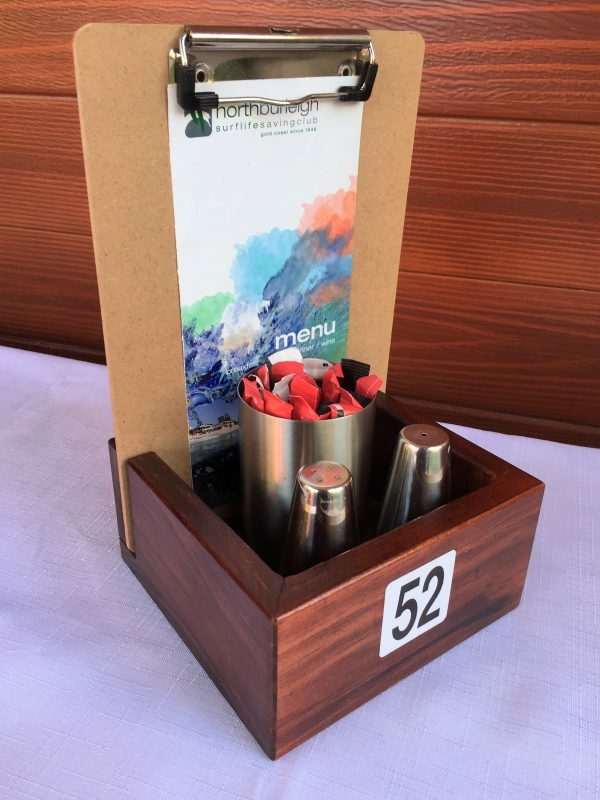 Deluxe Package – can hold : sugars / S&P / coasters / Knives & Forks / napkins and ‘any size’ menu. Compact and functional – suitable for all dining tables.